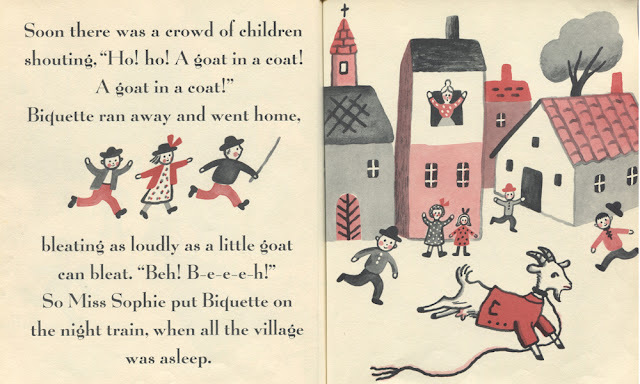 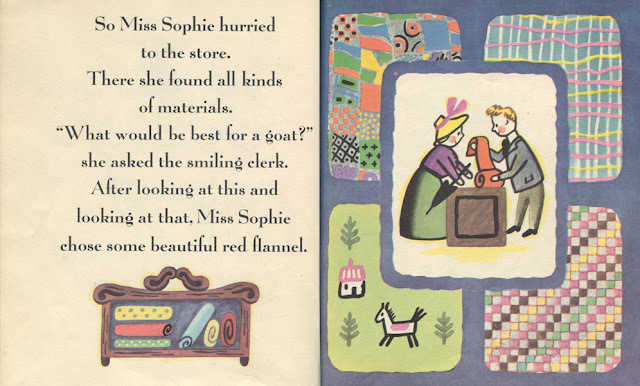 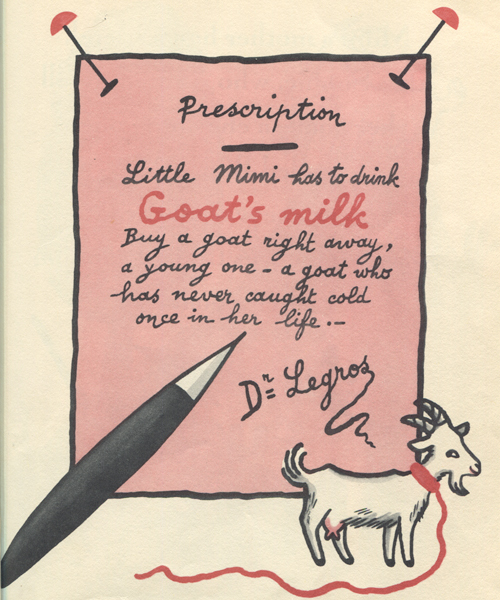 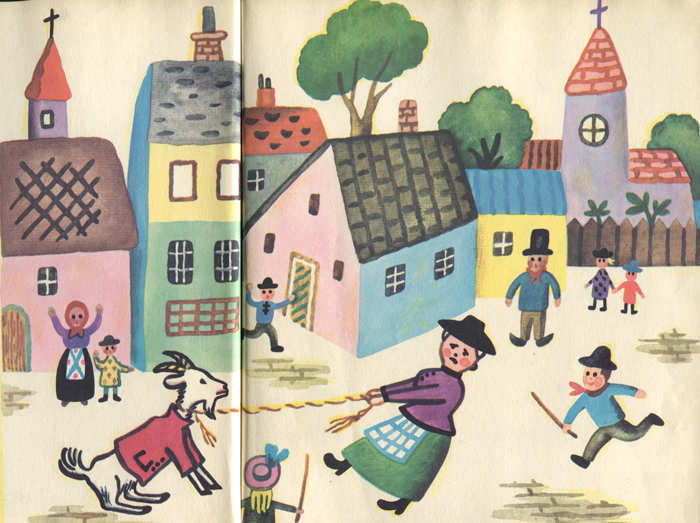 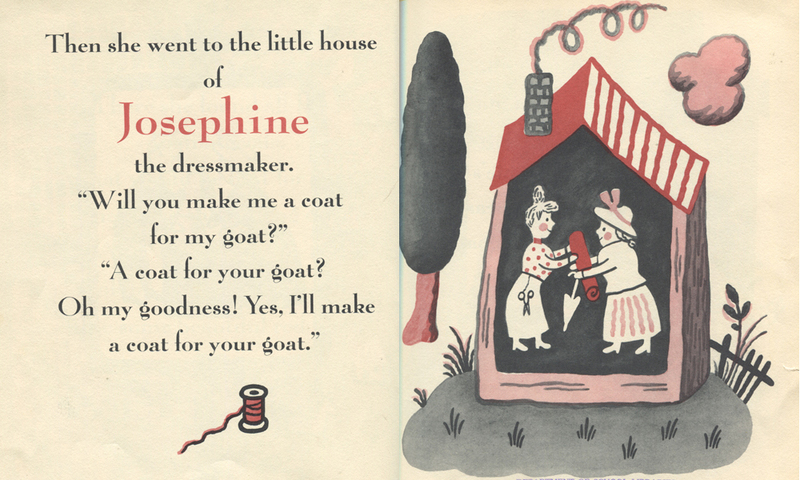 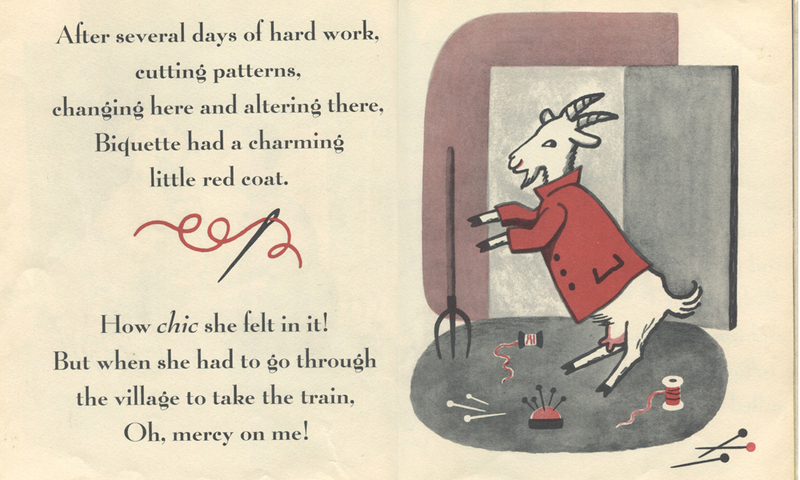 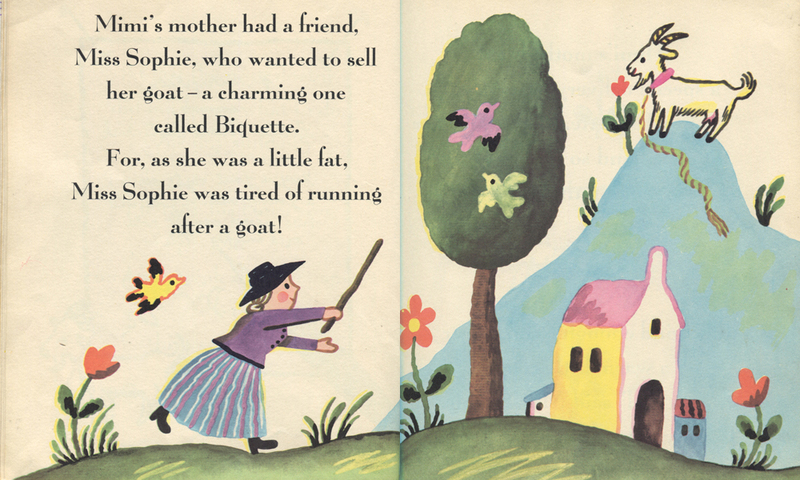 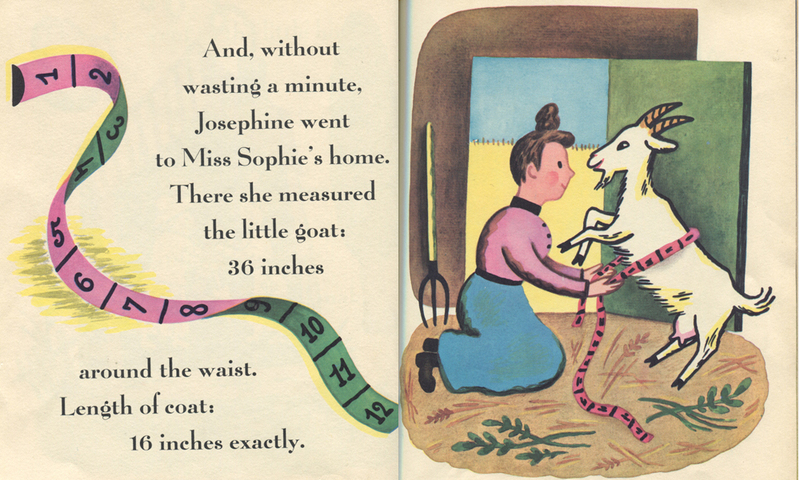 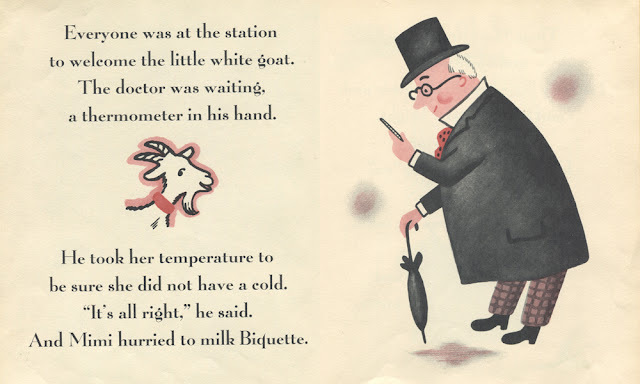 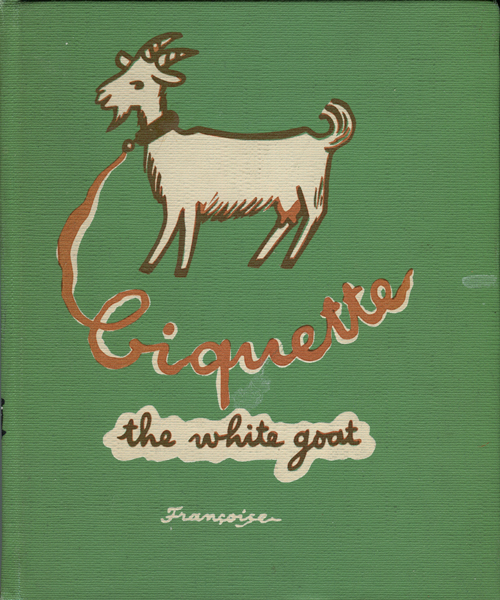 At this point, Miss Sophie realizes she has to make the goat a coat so she won't get a cold on her journey. 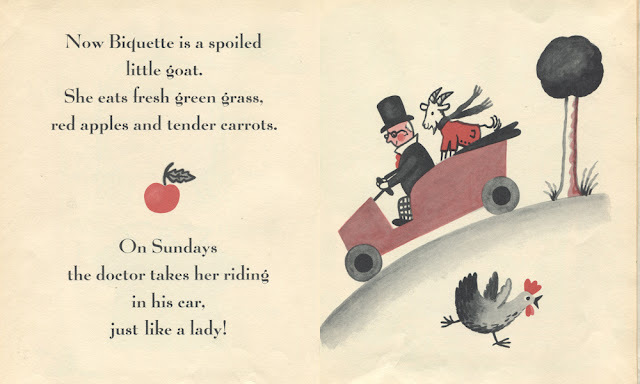 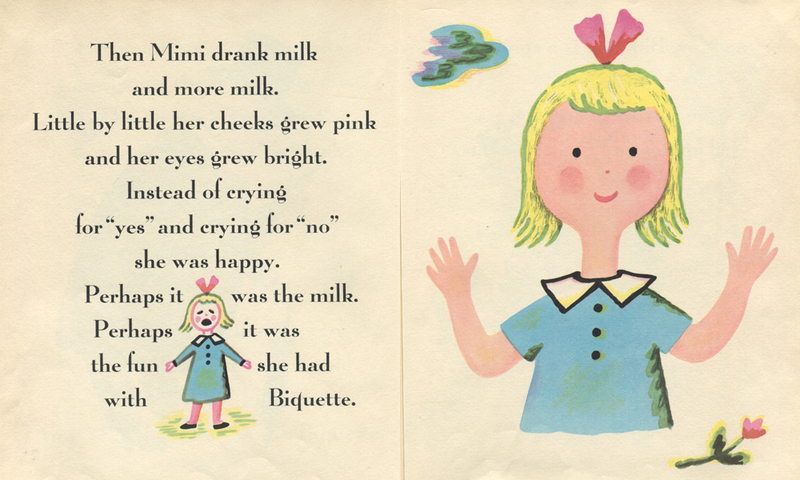 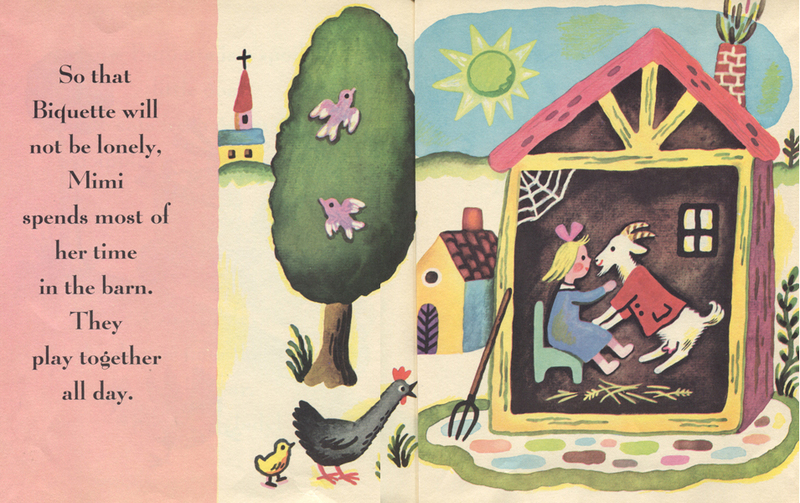 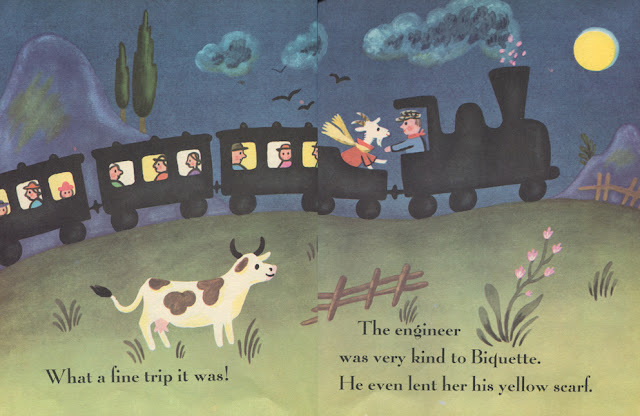 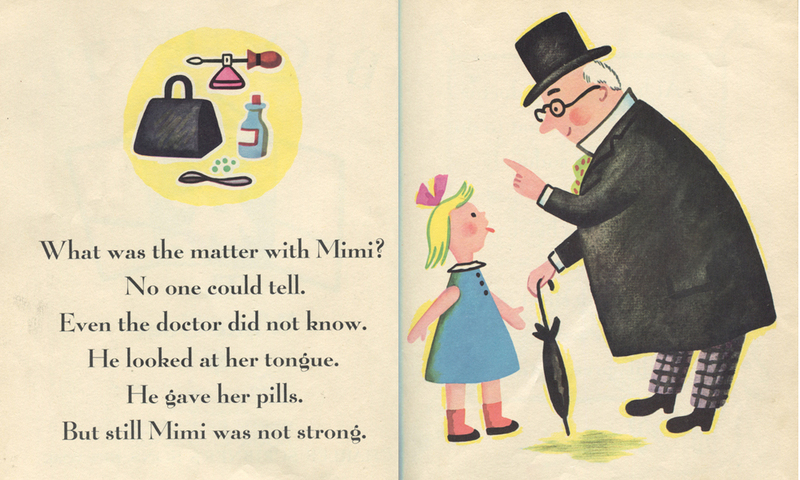 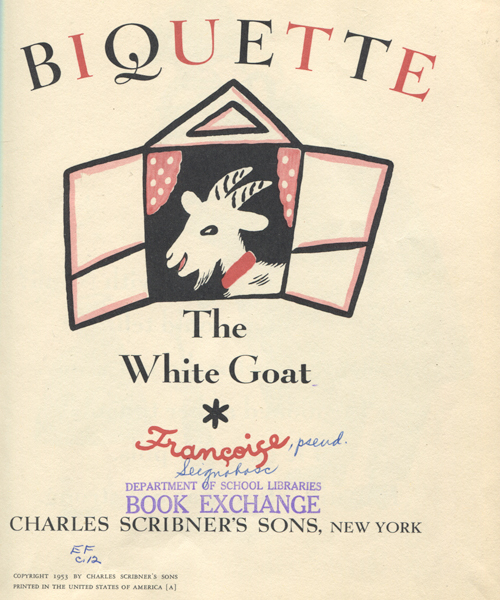 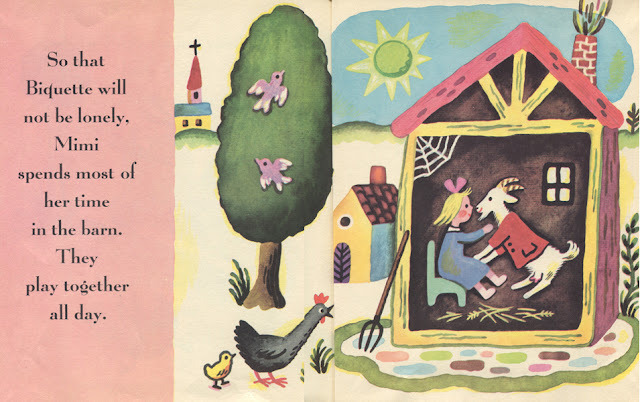 "Francoise" was the pen name of French-American author Francoise Seignobosc, who wrote and illustrated about forty children's books between the 1930s and the 1960s. 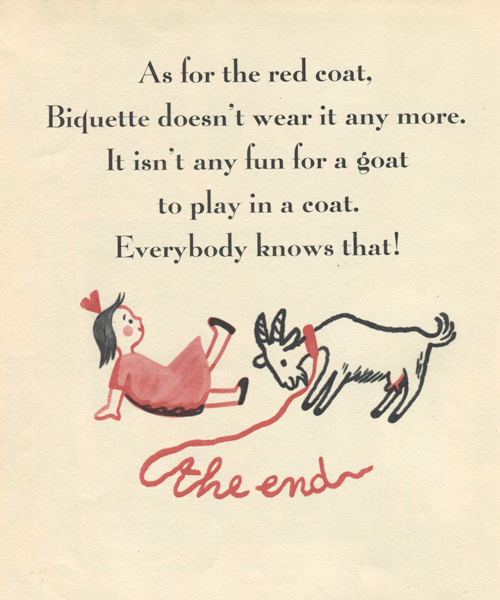 She died in 1961.